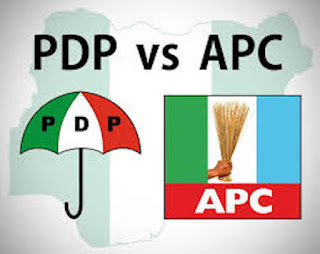 While the PDP accused the Governor of Osun, Mr Gboyega Oyetola and the APC of plans to sponsor rallies and demonstrations to discredit the judgement of the election petition tribunal, the APC said the PDP was economical with the truth. Addressing the Press today in Osogbo, Osun State chairman of the party, Hon. Soji Adagunodo said top officials of the state government held several meetings with Students Union leaders and pseudo activists who will hold rallies in Osogbo and Abuja to express displeasure at the judgement and blackmail the judiciary. Adagunodo said a sum of 500 million Naira has been earmarked by the outgoing government to mobilise demonstrators from Osun, Lagos and some neighbouring states for the ignoble exercise. In addition, the PDP accused Oyetola of directing Local Government chairmen in the state to release various sums of money to sponsor write-up in the Print Media and facilitate Television appearances where the integrity of the judges who delivered the majority judgement will be questioned by sponsored writers. While describing the plans as a mark of needless desperation on the part of the APC, Adagunodo urged security agencies to swing into action in order to avoid possible breach of security by the fake demonstrators who are to be unleashed on Osun State anytime from now. The PDP Chairman also warned Government Ministries and Agencies to avoid being used by the outgoing government to siphon public funds in the guise of organising solidarity rallies. He said, "You will all recall that upon the declaration of Senator Adeleke as the actual winner of the election, there were spontaneous applause and jubilation all across the state. "This was a reflection of the true wishes and aspiration of the people of Osun State who freely gave their mandate to the PDP candidate and were so disappointed when the Electoral body in cahoots with anti-democratic forces manipulated the process through what is now infamously known as remote control. "The verdict of the Tribunal was therefore a restoration of hope in the sanctity of the ballot box and the rule of law over the whims and caprice of desperate power seekers. "It is however disheartening to inform the whole world about plans by the APC and the sacked government of Mr Gboyega Oyetola to orchestrate a series of phantom protests and demonstrations in parts of Osun State and Abuja against the well thought out judgement of the Tribunal. "We have it on good authority that leaders of the APC and top functionaries of the State government have in the last 48 hours held series of meetings with some Students Union leaders and pseudo activists to plan the fake demonstrations. "A sum of 500 Million Naira has been earmarked as mobilisation fees for the various individuals and hired groups to be used for the ignoble exercise. "Furthermore, Local Government chairmen are also being forced to cough out sums ranging between 20 and 30 million Naira to support sponsorship of newspaper articles and Television appearances to impugn on the integrity of the Hon Justices of the Tribunal and ridicule the judgement. "We condemn these acts of desperation of the sacked Governor and his party which are apparently meant to blackmail the Election petition tribunal and put undue pressure on the appellate courts. "We also want to sound a note of warning to Government Ministries, agencies, local governments and parastatals to resist any plans to use them as conduit pipes to siphon monies in the guise of sponsoring the planned protests. "We call on the Police, DSS and other security agencies to put a check on these nefarious plans as they will obviously constitute a threat to the peace and security of Osun State. "We assure the good people of Osun State that our Party and the Governor-elect, Senator Nurudeen Ademola Adeleke will continue to defend the mandate given to us through all legal and constitutional means. "We will remain resolute in our resolve to restore the glory of our dear State and return government back to the people who have been robbed, pillaged and oppressed by the Lagos invaders in the last 8 years. Reacting, the spokesperson of APC, Bar. 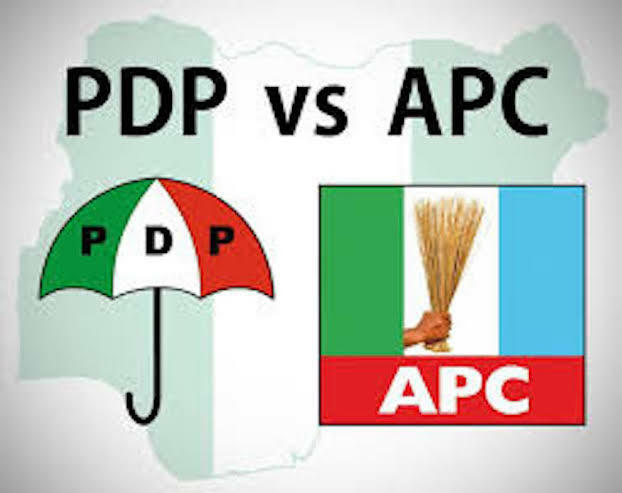 Kunle Oyatomi said, " APC does not want to engage with the PDP in Osun in useless and toothless conversation, especially so, because 95% of the time that they speak, it's all fabrication and this one is even fatuous, they have brought into the political arena in Osun since January 2019. "The good people of Osun and our knowledgeable security agencies should completely discountenance those allegations because they have no foundation in facts and figures. The PDP is looking for a roforofo fight, but we in APC don't belong in the gutters."